Welcome to Sanders Maintenance Services, Inc. 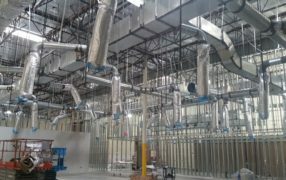 This involves removing or adding walls, expanding existing office areas, adding office space, restrooms in existing warehouse locations, and many more. 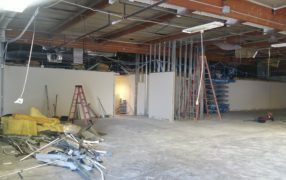 This usually involves removing or adding walls, expanding existing office areas, adding office space, and restrooms in existing warehouse locations, for example. We’ll make this difficult process easier by managing this work from start to finish, on time and at budget. Sanders Maintenance Services aspires to be an industry leader for being a competitive, quality-oriented and customer centered building services provider. We are committed to building long-term relationships based on integrity, performance, value and client satisfaction. Sanders Maintenance Services is a full-service commercial painting contractor, including full interior and exterior projects. We offer color renderings of your property, so that you may visualize the end result. This service is offered at no cost to you. SMS is here to help walk you through the entire process. SMS provides all aspects required to complete commercial tenant improvements, large or small. We'll make this difficult process easier by managing this work from start to finish. Our trained technicians provide repair work for the office space. Services include Light and Ballast Replacements, Ceiling Tiles, Plumbing Leaks, Faucets, Toilets, Drains, Drywall Repair, and much more. Custom T.I. 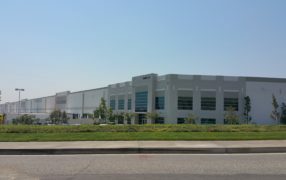 – Convert existing office space to Warehouse. Sanders Maintenance Services Copyright © 2019.